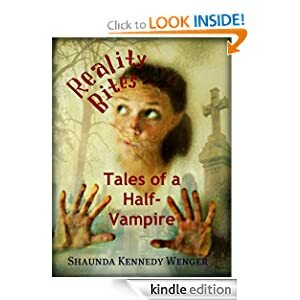 Growing up in a family of vampires, witches, werewolves, and other assorted embarrassments can be tough on a girl who is just trying to be normal and fit in, especially if the family has other ideas. When the school plans a Halloween ball, dressing up proves to be a lot harder than it should. MacKenzie has high hopes to at least talk with the boy she likes, but first she has to make it out of the house ALIVE, or at least looking like she's not Half-Dead. What is a "good" girl to do? When reality bites, she may need more than a little bit of family MAGIC to see her through.